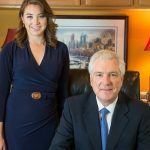 Best Philadelphia Lawyer Reviews for Top Rated Law Firm Fox Law, P.C. One of the best decisions I have made in my life was to hire Attorney John Fox to represent me in a personal injury case. Attorney Fox came highly recommended to me from others within the field of Law. I was very confident from the beginning that he would expertly represent me, which he truly did! He listened, cared, and advised with understanding - recognizing what was best FOR ME, and was always available and responsive. He explained to me every step of the process and advised me of all options, leaving the final decision to me on how to proceed – which I truly appreciated. In the end, Attorney Fox stood up to the large corporation I was up against, and was able to secure me a very favorable settlement. In summary, Attorney John Fox is an excellent, experienced, knowledgeable, professional attorney who works and fights hard. He truly CARES for the people he represents! I cannot thank John Fox enough for the OUTSTANDING work he did on my behalf – simply put, HE’S THE BEST ! I was in a car accident in 2015 that required multiple forms of therapy for a period of approximately 6 months following the accident and regular appointments with a neurologist for approximately a year following the accident. John was very professional and responsive from when I first contacted him (on a Saturday) through the end of the insurance claim. The driver that hit me did not have sufficient coverage, so John had to submit an under-insured claim to my own company. I was happy with the outcome and John's responsiveness throughout the claim. John explained everything throughout the process and we managed to settle out of court, which made the process easier on me. I would highly recommend John. I would highly recommend John Fox to represent clients in personal injury matters. Mr. Fox is an extremely intelligent, strategic and compassionate attorney who went above and beyond the call of duty for my case. Mr. Fox was responsive to my questions and timely in answering my calls and emails. I would not hesitate to retain Mr. Fox in any legal matter that you or a loved one may be faced with. One of the best attorneys I have ever had the pleasure of doing business with. After I fell and injured myself in several different parts of my body, I looked up several different attorneys, all of which asked me to refer to their website. In this instance I called Fox Law P.C., and asked to speak to John Fox. Immediately I was transferred to John Fox himself. Amazed as I was that I was even able to reach the head attorney himself on the phone, Fox Law immediately took a interest in my case, and settled within one year. Over the course of my life, I have met many attorneys and have hired many attorneys, none of which acted more professionally and with a sense of urgency, then John Fox. I highly recommend anyone who has a bodily injury accident or slip and fall accident, or any other type of a lawsuit to contact Fox Law, P.C., as you cannot find a better attorney then John. Using Fox Law P.C. is definitely a win-win for everyone involved. A year a half ago I was in a pretty bad car accident. I suffered some injuries and mentally I was unrecognizable. Luckily I came across John Fox, call it a blessing, luck, I'm grateful I found him. From the very start his concern was always my well being. I was beyond traumatized and he made calls to me often, spending time talking to me about staying strong and getting through this. He was also well informed in the many areas a car accident effects. It would take pages to lay out the specifics of my case, but I'll say this, Mr. Fox is a good man with top notch ethics. In my situation there were factors that were more important than money and he honored everyone of my wishes. To me the key factor is this, take away all I've said and my opinion and look at this one fact. His first 20 years as a lawyer he represented the insurance companies. So this is a guy who knows how they work, the tricks they play, the moves they make to save money. It was apparent in my situation that he had a great advantage which means his I had a great advantage. I know this is getting lengthy but there's a couple of other things that you should consider. I had to fly in to Philly from another state for my mediation/settlement negotiations. Who was there to pick me up at the airport? John Fox. He took me to a nice hotel and also took me back to the airport on his own time. That's the type of person he is. Most guys on his level would have sent a secretary or someone else to pick me up. It meant a lot to me during such stressful times. Also, as far as my settlement went, he exceeded expectations, not because of my case, but because he was very proactive in the process and took the lead with all the attorneys involved. (Multiple victims) He got it done. If you need legal help and don't know where to turn, trust me, get this guy, you won't be disappointed. The representation I received from John Fox and his entire team was absolutely wonderful. I had originally hired another law firm to take on my personal injury suit from a car accident, my original firm was not looking out for my best interest and I no longer felt comfortable with them. I decided to release them from my case and hire a new attorney. I took a leap of faith and went with the first attorney I felt had the most qualification. When I first contacted Fox Law, I spoke to John's wife who works along side her husband. She immediately listened to my story and wanted to help. John agreed to take my case and vowed he would do what he thought was in my best interest. For a case that went nowhere for 2 years John had my case completely settled in about a year. He pushed for me to get me the best settlement possible especially for someone living in Lehigh County. John continuously kept in contact with me and informed me of the progress of the case, he is friendly, professional, and most importantly he fights for his clients. I would highly recommend John Fox to anyone dealing with a personal injury. You will receive excellent representation by this law firm! About a year ago I had an unfortunate accident, and fell down a flight of 14, steps, rendering me unconscious, along with various other net and had contusions. As almost everyone does. They look on the website for a lawyer who they think may be able to help them. I actually called over eight different attorneys before I reached Fox Law Firm. After speaking with John on the phone and explaining the situation, uncharacteristic as it may seem, Mr. Fox came to the scene of my fall the very next day. He brought with him a camera to take pictures, which ultimately captured the unmistakable neglect by the maintenance department at the place of the injury. I was surprised at the attention and consideration that Mr. Fox provided. I know a good amount of attorneys, and I can say without doubt that John Fox is by far the most caring and sensitive attorney towards his clients. Not only did John Fox. Keep in constant contact with me throughout my entire ordeal, but I feel that he went far and above the call of duty of the attorney client relationship. And by going far and above the call of duty. I mean that he consistently called me to make sure that I was okay, while informing me of the progress of my case. Surprisingly,, it didn't take Mr. Fox long to put pressure on the defendants on a constant basis. Which in return pushed the defendants to settle in less than one year for a good amount of money. What also surprised me about Mr. Fox and his law firm was that you could actually speak to John if he was in the office immediately or he would call you back directly. I found this to be incredibly surprising giving that most attorneys could care less about their clients. I highly recommend John Fox law firm to anyone who is in need of a great attorney. I had the pleasure of working with the amazing team at Fox Law. Firstly, John and Laura already had so many great reviews online, it made sense that I consult with them about my car accident. During my initial consultation, I was able to explain what happened and then was given all the steps to take to ensure that I received proper medical care for my injuries. Whenever I had questions and concerns about my case, I would receive a call back (not rushed off the phone) or email reply, providing me with updates. Whenever we faced challenges, strategies were implemented to ensure that we had the best legal defense. My suggestions were welcomed without making me feel as though I was clueless about my own accident and the injuries that I sustained. My lawsuit was handled with the finest care and professionalism from the team at Fox Law, ensuring that I was fully compensated for my injuries. Thank you very much for taking the time in my son's case. We are grateful for the great work you did. I am very pleased with the outcome of my case. Both John Fox and his daughter were very helpful in this matter. My case was a little difficult considering I was involved in two car accidents within twelve days, however the two of them were able to reach a settlement that I was comfortable with. If you are looking for an attorney, please do yourself a favor and choose Fox Law, you will not be disappointed! My experience with Fox Law was great, Mr. Fox kept in touch Often providing me with updates on how my case was going and I was able to settled in an timely manner. I 100% recommend Mr. Fox to anyone who has a injury case because Mr. Fox will work hard to get you what you deserve. Thanks Mr. Fox! It was an absolute pleasure working with John and his team on my case. John exceeded expectations and worked with me in making sure we received a decent settlement to cover my injuries without needing to go through the laborious court process. I highly recommend John to anyone that needs help. I was involved in a multi-vehicle accident where John Fox represented me. I was impressed by his quick response time and professionalism throughout the whole case. He made the whole process seamless and took care of speaking to the various insurance companies for me, as this can be a daunting task. He kept me updated throughout the whole process and assisted me in finding a convenient physical therapy location. Though this was a long case, and required me getting surgery a year after the accident, I always felt like I could reach out to Mr. Fox at anytime and he would answer any questions I had. I was pleased with the results of the settlement and always thought he had my general health and well-being in mind during this case. Though I hope I don't have to, I would definitely use him again if needed! I would like to comment on the service provided to me by the John Fox Law Firm in Pennsylvania. I am a resident of New Jersey. My legal matter was an incident where I was seriously injured as a result of negligence on the part of a commercial property owner. 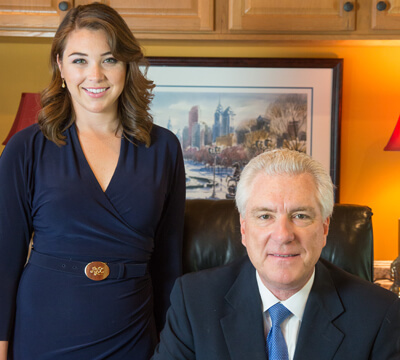 My need for an Attorney led me on an intensive search throughout N.J. and Pa. Fortunately, my search led me to Attorney John Fox. It is important to say, my experience with Lawyers is very extensive as I am a retired Police Officer and have interacted with numerous Lawyers during my career. Many of them were very good but lacked a special professional manner and personality that I was comfortable with. I found Attorney John Fox to possess the professionalism, friendly manner, and legal knowledge that I had been looking for. As a result of Mr. Fox taking my case, I received a fair and acceptable settlement. My total satisfaction with the representation I received in that matter led me back to Fox Law Firm without hesitation after I was Involved in a horrific vehicle accident.That mishap was the result of a truck running a Stop Sign and colliding with my vehicle. I was hospitalized and needed not only the legal representation but also the guidance and friendship of Attorney John Fox. If or when you find yourself in need of a talented and successful Lawyer, I highly recommend the Fox Law. You kept us informed, helped my wife get physical therapy, gave us confidence that her case would be resolved. More than anything you gave her moral support. We will always count on your team for any other legal matters. We don't have words to thank you for all you do. Everything was perfect. I was involved in an accident in the Philadelphia Airport. I live in Oregon, so it was a leap of faith for me to find an out-of-state attorney online to work with me. Mr. Fox was intelligent, articulate, professional, and compassionate. He was always available to answer my phone calls and emails. He truly cared about the health problems I suffered as a result of the accident. He represented me and I received a very fair settlement from an airline. Thank you for the good work you do, Mr. Fox. I would highly recommend him to anyone needing professional legal representation. He's top notch. John was the only attorney I've ever dealt with who was willing to fight to the end and not just settle at the first offer so he could count it as a win. I consider him a friend because he made me feel safe, confident, and secure. He was well informed and always took my calls whenever I called and If I left a message, he would always call back within 24hr. I highly recommend John Fox, I would give him any case I have. He is trustworthy and a master at his craft. Thanks for everything John. John took care of my case and did a great job on negotiating the settlement. He stood his ground and makes it clear that he will not hesitate to litigate. Mr. Fox and his associates were great throughout my accident case. Anytime I had a question or needed something, either Mr. Fox himself or his staff would promptly respond. Fox Law is a top notch law firm. It's a boutique firm that produces big firm results! Mr. Fox is attentive and works extremely hard for the settlements his clients deserve. I will turn to Fox Law for all my future legal needs. John represented me in an injury case when the responsible party gave me a run-around. I was very impressed with Mr. Fox's honesty, experience, and knowledge of law. I am pleased with the quick and fair settlement he obtained for me. He has my highest recommendation. You kept us informed, helped my wife get physical therapy, gave us confidence that her case would be resolved. More than anything you gave her moral support. We will always count on your team for any other legal matters.We don't have words to thank you for all you do. Everything was perfect. I never dealt with a lawyer before because I never had the need to, so I was unsure what to do; how to proceed, do I contact them or do they contact me, nor did I know what to expect. John Fox Law was excellent for me in every way and explained things to me in layman terms so that I understood everything. Whenever I called or emailed, I always received a prompt reply back from John himself. He always reassured me and I followed his guidance and wisdom. It was a lengthy process, but in the end, we both prevailed. I was very pleased with the outcome, in fact, it exceeded my expectations. I truly appreciate what he was able to do for me, both physically, mentally and financially. If I am ever in need of legal counsel again, I will be calling John Fox. $r. Fox represented me. I was impressed and relieved with how little I had to deal with any of the insurance companies involved. Mr. Fox handled all of that and kept me fully informed of the updates and proceedings. This was important since I didn't have to spend time and attention on this instead of at my job. He was always in contact and laid out all my options with pros/cons for every decision we made. I was also very pleased with the results as he negotiated me a very favorable settlement without the inconvenience of going to court.On a personal level I found him to be friendly and easy to talk to. I will hopefully not have another accident but if I do I will be contacting Mr. Fox and would highly suggest anyone else to do the same regarding a legal matter.